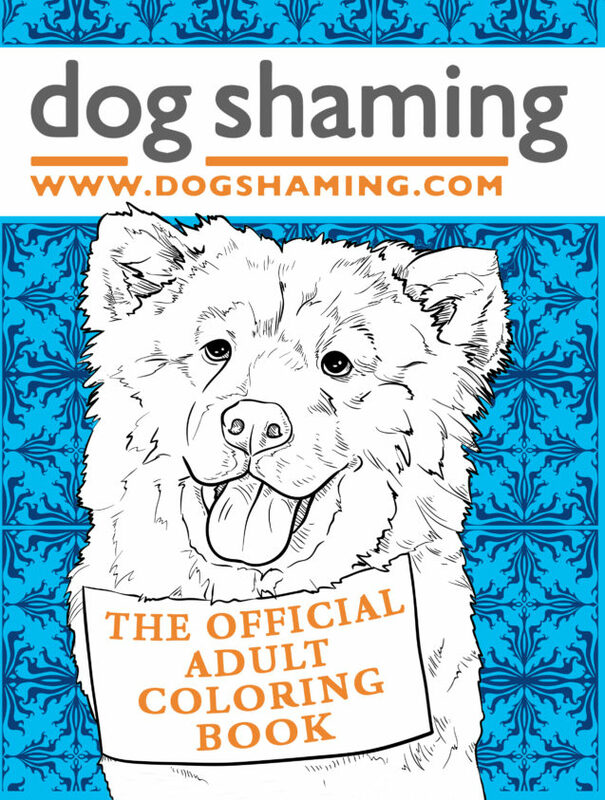 Happy Howlidays – A Gift in Techni-Color! Posted December 9th, 2016 by dogkeeper & filed under Submitted. Just in time for the holidays, introducing Dog Shaming: The Adult Coloring Book! Now you can chill out with your crayons out and colour the stress away. 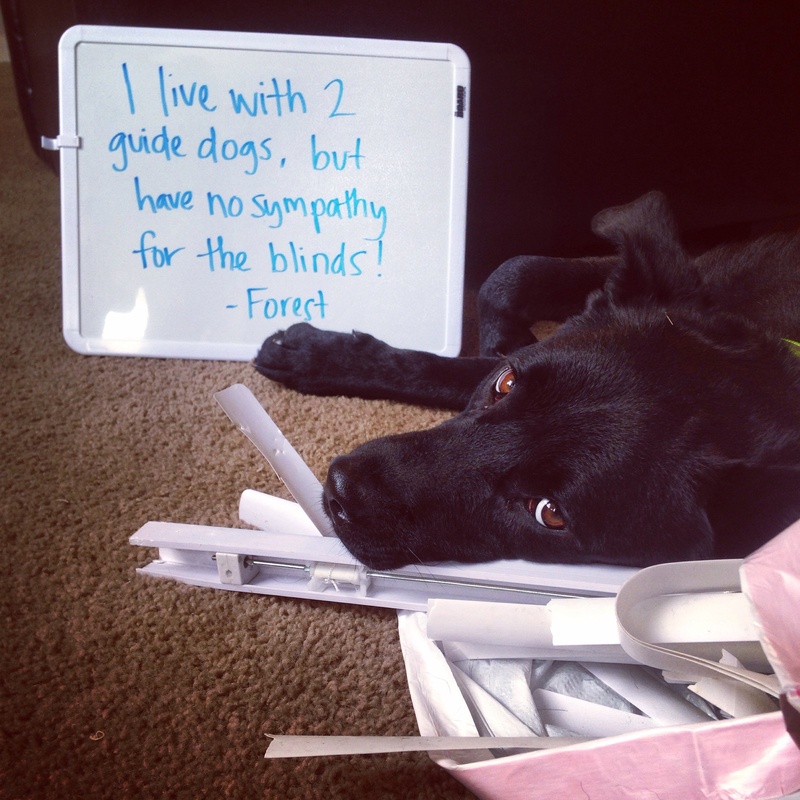 That is, until your dog inevitably eats a sharpie and your beautiful beige rug looks like a pile of rainbow-barf. This book boasts 35 wonderfully detailed pictures to keep you going through the stress of the holidays. Available on amazon.com, it’s the perfect gift for you or your loved ones. Posted July 5th, 2015 by Audra Williams & filed under Disgusting Doggies, Submitted. I took my puppy up to a secluded cabin in the woods this weekend, hoping to enjoy the wilderness together. 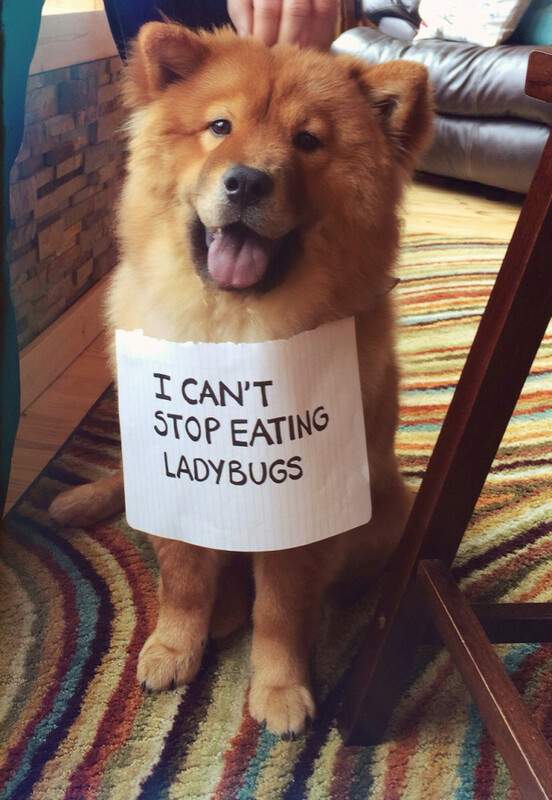 Her favorite part of the adventure was relentlessly stalking and eating every single ladybug in the cabin. It was gross. Don’t forget to submit for our calendar contest! Read up more on it HERE! 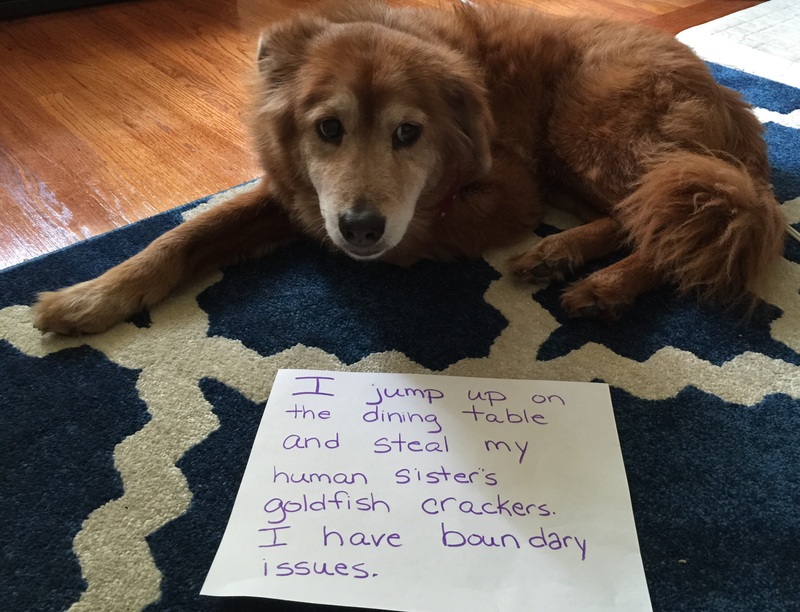 Posted May 23rd, 2015 by dogkeeper & filed under Bad Babysitter, Pilfering Pooches, Submitted. I jump up on the dining table and steal my human sister’s goldfish crackers. I have boundary issues. Posted September 14th, 2014 by & filed under Bad Babysitter, Renovation and Redecoration, Submitted.